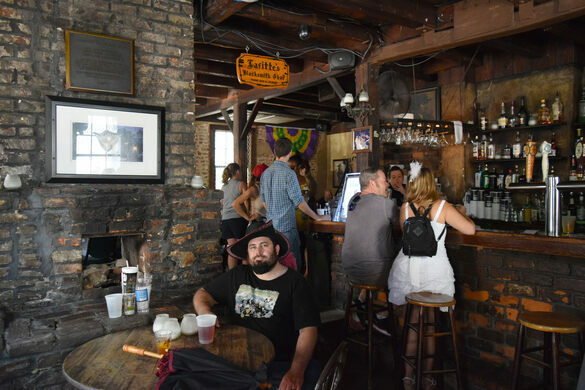 Current owners claim it to be the oldest structure used as a bar in the United States, and say Lafitte’s Blacksmith Shop was built between 1722 and 1732 and purportedly used by privateers Jean and Pierre Lafitte as a cover for their illegal smuggling activities. 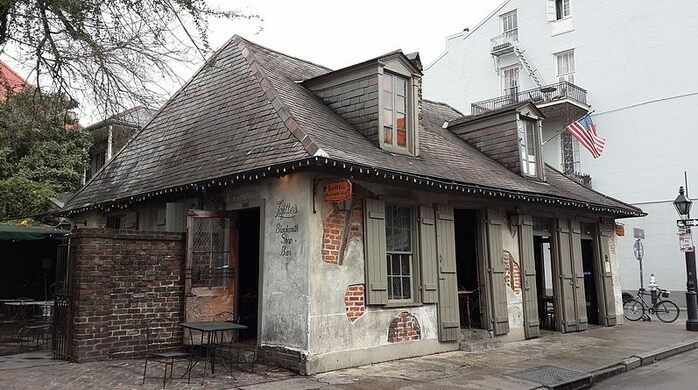 In fact, the first record of a barroom permit for that address is in 1933 when Mary Collins, Thomas Caplinger and Harold Bartell opened a restaurant there called “Café Lafitte.” The bar’s own website claims that the Lafitte Brothers used the building between 1772 and 1791. 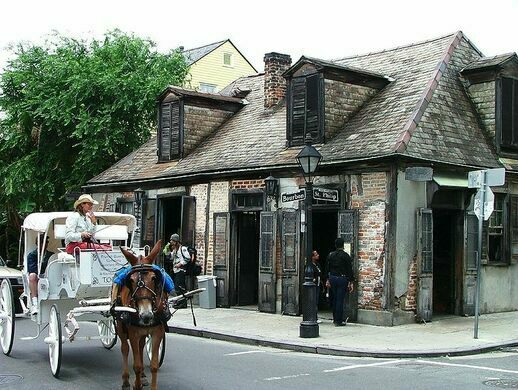 An interesting claim considering Pierre Lafitte didn’t come to Louisiana until 1803 (he was a refugee from Saint-Domingue, now Haiti) and Jean followed after him later. 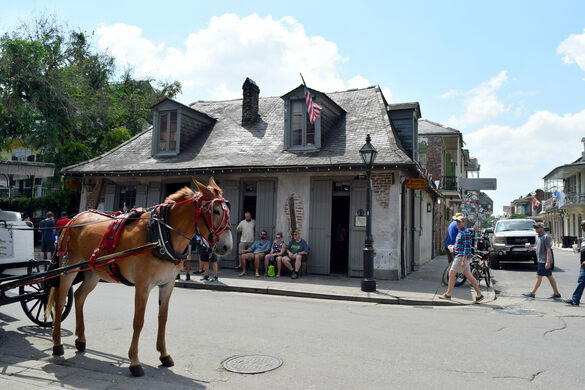 Though Jean Lafitte was a known pirate and privateer, he was also a hero of the Battle of New Orleans, the last major conflict during the War of 1812, when American forces defeated the British Army in their attempt to seize New Orleans and the Louisiana Purchase from the U.S. 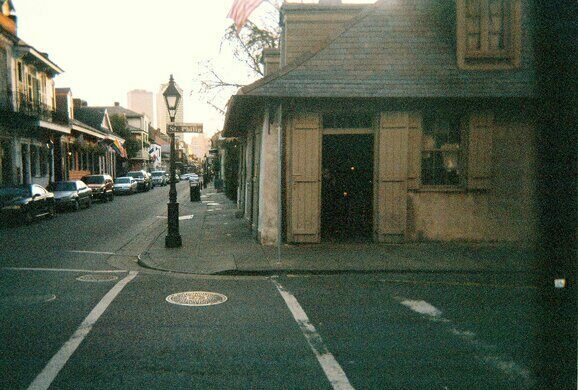 Though local authorities squashed his privateering camp, Lafitte was pardoned in exchange for assisting the Americans during the battle. 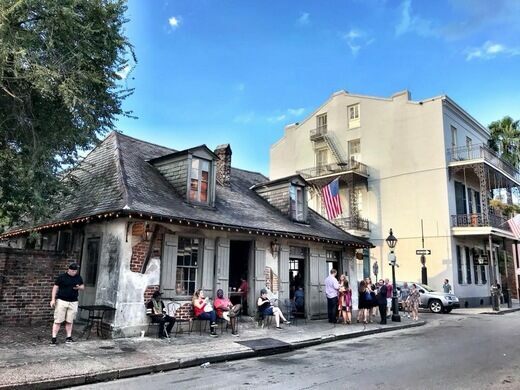 Although the colorful history of Lafitte’s Blacksmith Shop (which may or may not have actually housed a blacksmith business during its early days) might be more legend than reality, the bar really is one of the oldest buildings in New Orleans—one of the only surviving examples of a Creole cottage in the French Quarter—and it looks it. Brick masonry is exposed, floorboards creak, and windows shutters are askew. 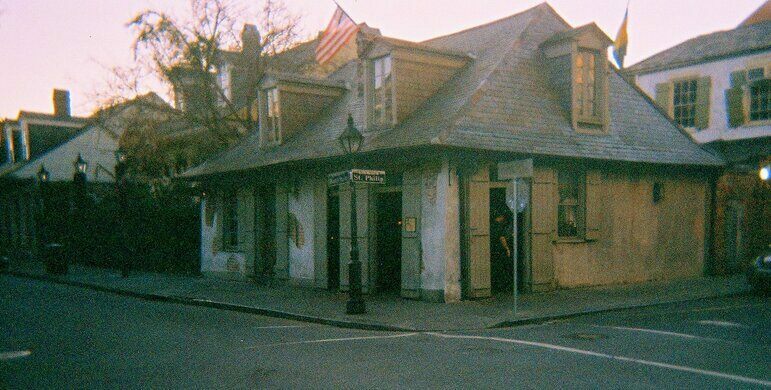 And, of course, the building is supposedly haunted by residents of the French Quarter who died in the fires of 1788 and 1794. 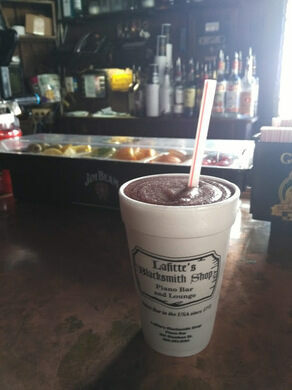 Lafitte's Blacksmith Shop is on the corner of Bourbon Street and St. Phillip Street, on the far side of the French Quarter down Bourbon Street from Canal. 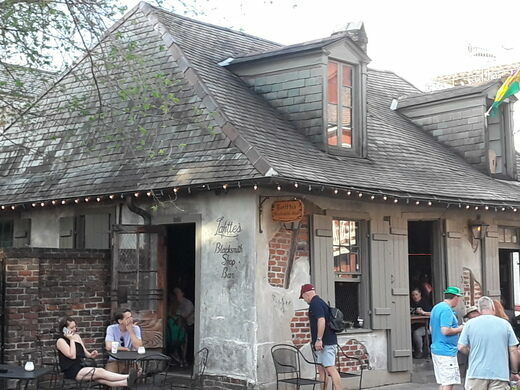 While it is originally one of the oldest buildings in New Orleans, it has recently been updated with a very cheesy "look" of an old building. Though it claims to still have candles on the tables and no electricity, it has a number of frozen daiquiri machines behind the bar. Nowdays this place feels less like a historical site and more like a tourist trap.